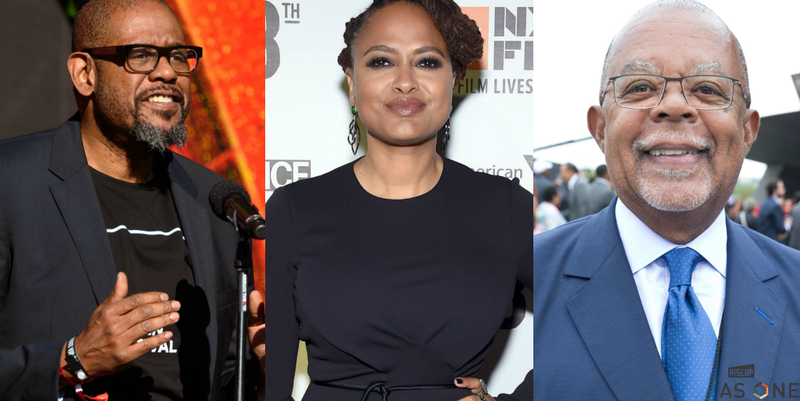 Forest Whitaker; Ava DuVernay; Henry Louis Gates Jr. The Root is heading to San Diego on Oct. 15 for Univision and Fusion Media Group's "RiseUp AS ONE" concert. This show is a celebration of music, diversity and unity. All of this awesomeness will be staged along the U.S.-Mexico border in San Diego and will feature a talented lineup of artists, musicians and performers. You want to know who's performing, don't you?! The star-studded list includes Miguel Bosé, Luis Coronel, Andra Day, Lila Downs, Jorge Drexler, Fonseca, Jesse & Joy, Juanes, Natalia Lafourcade, Los Tigres del Norte, Lupillo Rivera, Alejandro Sanz, Julieta Venegas and Carlos Vives. And don't worry; in case you can't make it to San Diego, the event will be broadcast live coast-to-coast in Spanish on the Univision network and in English on Fusion (4-7 p.m. PT/7-10 p.m. ET). But if you think you can make it out, check out RiseUp AS ONE for more information about tickets. The event will be hosted by La Banda’s Alejandra Espinoza and award-winning journalist Jorge Ramos, along with Fusion’s Nando Vila and Natasha del Toro. They will be joined by special guests, including Gael García Bernal and Jonás Cuarón of Desierto, Mía Maestro, Wilmer Valderrama and more. Univision and Fusion Media Group recently announced the event’s co-chairs, who come from diverse backgrounds and communities. The list of co-chairs includes José Andrés, Nicolas Berggruen, T-Bone Burnett, Ximena Caminos, Kenneth Cole, Jason Collins, Junot Díaz, Ava DuVernay, Emilio and Gloria Estefan, America Ferrera, The Root Chairman Henry Louis Gates Jr., Don Graham, Salma Hayek, Samuel L. Jackson, Dr. Henry Jenkins, Quincy Jones, Lin-Manuel Miranda, Mía Maestro, Jonathan Olinger, Eduardo Padrón, Shonda Rhimes, Robert Rodriguez, Dr. Robert K. Ross, Sree Sreenivasan, Forest Whitaker and Ethan Zuckerman. Supporting partners include the California Endowment’s #SchoolsNotPrisons and #Health4All campaigns, Cross Border Xpress (CBX), the city of San Diego, San Diego Regional Chamber of Commerce, the city of Imperial Beach, HBO, Revolve Impact, Dots, Variety, Square, PVBLIC, UNICEF, the United Nations and BET. Also, thanks for sponsoring, Sprint! Watch the recently released RiseUp AS ONE launch film narrated by award-winning composer, lyricist and performer Lin-Manuel Miranda here. For more information about the event and to sign up for event updates, please visit RiseUp AS ONE (#RiseUpAsOne). Take a look at how The Root rises up as one!